The rides where all local to my area here in Sussex, with some decent hills along the routes. The weather was increasingly warm, topping off with a ride on Saturday of 45miles with a temperature range of 20C-27C. The other three rides where all 60miles plus, so ended up spending a decent amount of time on my saddle! Capo Padrone bibshorts in action......not on me I might add.. They are still hard to get on, but I'm used to that now and look forward to it in a kind of comforting way. They are absolutely rock solid for the entire ride, and have been so time after time. If you ride in other (cheaper) shorts after these they feel dam right wobbly! I had not appreciated the virtues of bibshorts that stay almost glued in place. Obviously, less friction is one advantage, which in turn leads to a more comfortable ride and less need to shift in the saddle. Also, they don't get saggy when wet with sweat....which again comes back to the comfort factor. 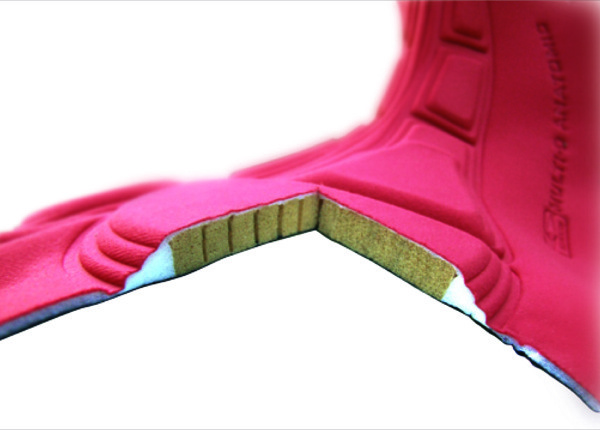 The second major innovation in the bibshorts is the top end Elastic Interface Anatomic 4G Chamois pad . This has not dissapointed! It's a top-of-the-line pad and again, after several rides, it's comfort has been a revelation. Absolutely no chaffing, no saddle sore making it the best pad I have used to date. 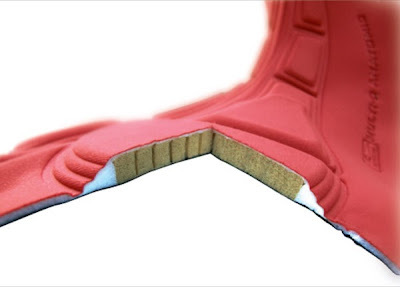 Capo use an ultra-high gauge Lycra® offering superior muscle compression, abrasion resistance and moisture transfer. On the first ride, I was pretty convinced that this lead to reduce muscle fatigue and increased lactic acid flushing during the ride.......a big assumption from one ride! However, I'm sticking to my line as I've experienced similar effects during the last rides. I must admit, it doesn't seem as magnified, but that could be me getting used to it or expecting it. I need to downgrade and ride in an older pair of shorts, in similar conditions just to be absolutely sure it's the shorts....and not me getting fitter/stronger etc. But for now, these are my go-to bibshorts for longer rides. This is the "black magic" in the shorts! So, the first time I rode I reported a very comfortable temperature, never feeling too hot or cold. This time, with temperatures hitting 27C, did the black magic work? Again, I hardly noticed the shorts (an old cliche but true), and certianly didn't feel hot in them.This is down to the reflective properties on the material, as you can see from the picture below. Again, I would normally feel the heat with my other shorts, but I'll have to go back and ride in them (in similar conditions) to confirm this. I must admit to being smitten with the Capo Padrone bibshorts. All that technology does seem to do what it claims (makes sense really or why have it in there?). Price wise, yes, they are at the higher end, but that's where Capo compete. I'd be confident enough to put these up against anything Rapha, Assos or Castelli have to offer in this price range, and the Capo Padrone would come out on top. I'm already looking forward to trying the winter bibtights version!